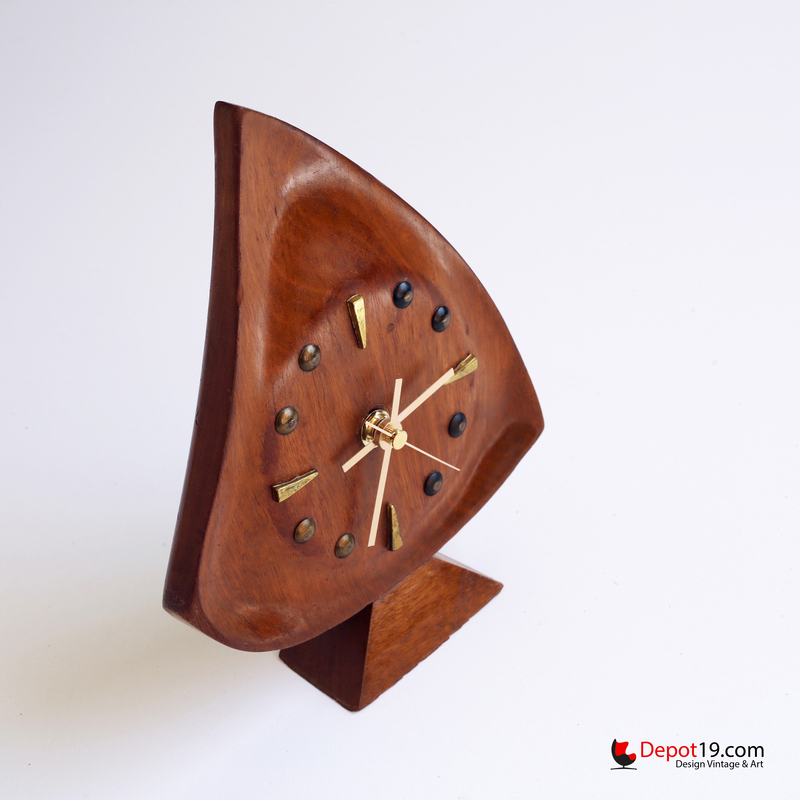 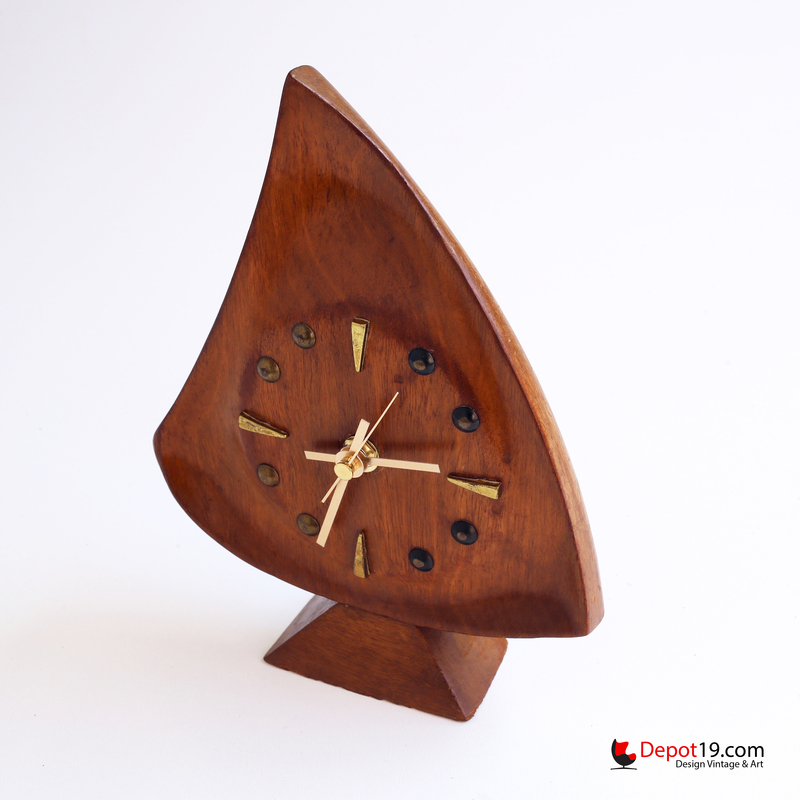 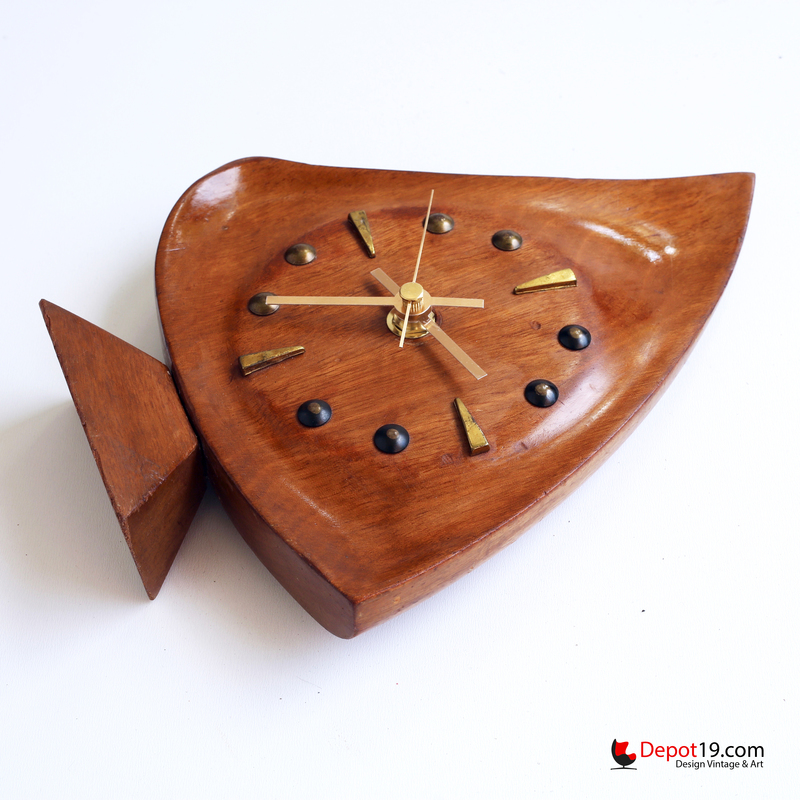 Mid Century Modern Sunburst / Starburst Clock made of teak in MCM Atomic style. 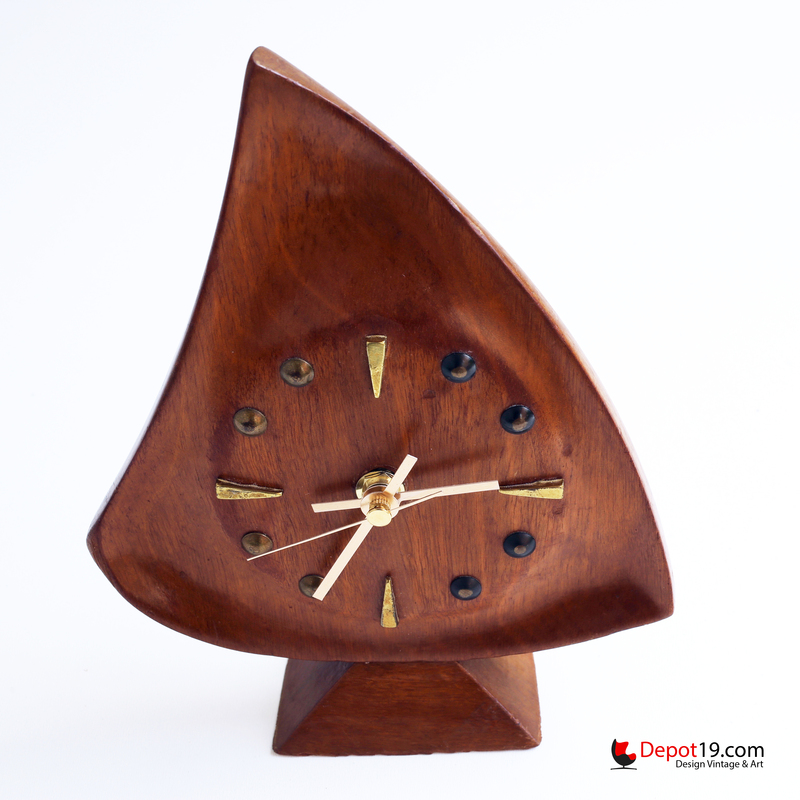 This clock was made in the 1950's . 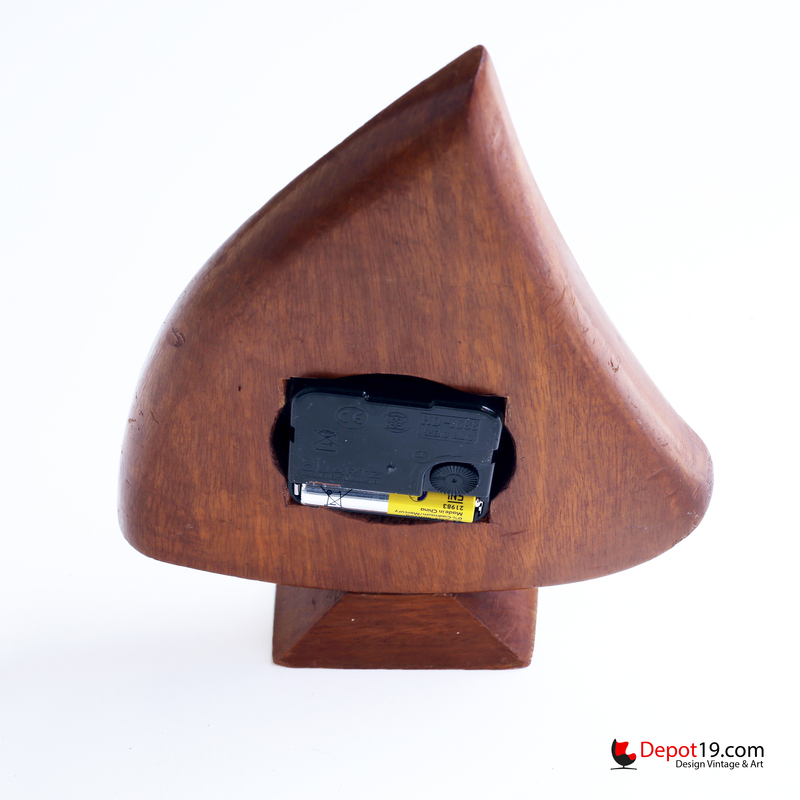 The 220v original clockwork was replaced by a contemporary clockwork on a battery.